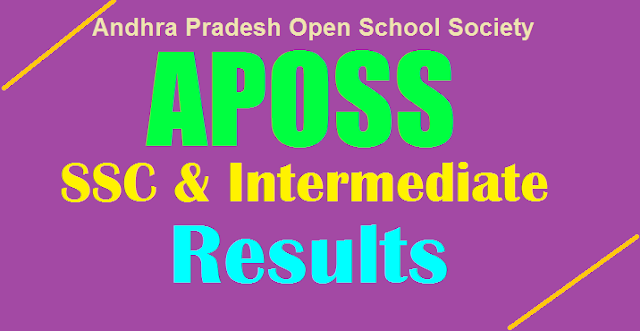 APOSS 10th Results 2018 – AP Open School SSC Results Students can check their AP open school ssc results 2018 on apopenschool.org, manabadi.com. It is conducted by the Open School Society of AP (APOSS). APOSS Intermediate Results 2018 – AP Open School Inter Results Students can check their AP open school inter results 2018 on apopenschool.org, manabadi.com. It is conducted by the Open School Society of AP (APOSS). The APOSS Intermediate results will be announced in Oct/Nov 2018. Go to the official website apopenschool.org. Results of SSC & Intermediate Public Examinations, July-2018 released. Recounting and Re-verification fee payment schedule is from 20.08.2018 to 29.08.2018.